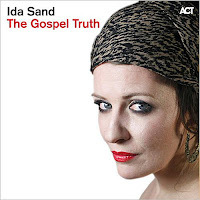 Ida Sand’s third album “The Gospel Truth” is released in 2011 from ACT and I bought it with the speed of light. This album is a Gospel album full of great chorus arrangements and I think Ida Sand is a great gospel singer. I think her mother, being a church musician, had an effect on her and she might have spent sometime in church choirs. Inside the album cover you can read a small tribute from Ida Sand to Mahalia Jackson, who inspired her. I should add that there are covers in the album as well as good compositions. In my “Meet Me Around at Midnight” post I have said that Ida waited very long to be experienced. From this point of view she already has the necessary maturity in music but within this album she has reached her highest level of experience in my opinion. She is totally self-confident of what she is singing and playing. This confidence can also be seen in the compositions. On the other hand, “Ain’t No Sunshine” and “Like A Prayer” covers are just so amazing that they can be one of the bests made for these songs. Especially “Like a Prayer” cover is totally different from the previous ones with its choral arrangements. Eyes on The Prize: If there is a genre in music called Rock&Gospel, this song is from this genre. A constant rhtyhm of drum and bass is accompanied mostly by electric guitar. Ida has a very brave and self-confident vocal in this song. A very good selection to begin such an album. ACT Jubilee singers are at the back vocals. Ain’t No Sunshine: An awesome cover of a great song. Everything starts with great solo vocal entrance of Ida. She has chosen a rock style vocal in this song (a general tendency seen in the whole album) Give attention to Magnus Lindgren at woodwinds and Ola Gustaffson at lap steel guitar. The drum kicks in the beginnig is a perfect example to how a good kick record should be made. He ain’t Heavy He’s My Brother: Soft male vocal of Raul Midon is heard at the beginning of the song with electric guitar, drum and bass this time with a popular style rhythm. At first Ida Sand sings alone. Afterwards we see Raul Midon and Ida Sand making the duet. Their vocals are in a great harmony. I love Gospel!!! A Change is Gonna Come: Ida’s balanced vocal is again in a great harmony with her piano playing in this slow tempo song. Joe Sample gives a great Fender Rhodes tone which matches the song in a magical way. Then the trombone comes slowly through the end. Have a Talk With God: A wonderful song of Steive Wonder is perfectly performed by Ida accompanied by ACT Jubilee singers of perfect singers and musicians. Listen to the great flute and breathe of Magnus Lindgren carefully. I Wanna Know What Love Is: This pop-rock song has perfect lyrics. Ola Gustaffson’s lap steel guitar, Nils Landgren’s trombone and ACT Jubilee Singers accompany Ida Sand. Until The End: I know from Ida’s concert in İstanbul that Mattias Torell is a good guitarist. He is at work with a (I think he used steel) wonderful tone (I loved it). I Wish I Would Know How: Here comes an awesome Nina Simone song. A very well piano within her great vocal, Ida Sand make us feel like listening to Nina. I sometimes think of Nina Simone while listening to Ida, possibily because they both are not only great vocalists but also qualified pianists. Ida Sand feels the song while playing in the name of Nina Simone and especially in the end she rises the tension to a higher place where the audience will really be free. Have a Little Faith In Me: A really intimate and emotional composition from John Hiatt. You should listen to this song and understand why I am a fan of Ida Sand. She really sings the song in a consistent manner with the meanings of the lyrics. There is lot to learn from Ida for most of the singers all over the world. It Is To Know: An assertive drum and bass entrance catches the energy of the listener again just before the end continuing with a well-known and well-defined vocal from Ida Sand. This, I think, a signal for the following song to rock the place. Like A Prayer:Wow… You should listen to that cover. I do not like Madonna, and pop icons. I have listened “Like a Prayer” not more than ten times in my life from her, but I did this after I have listened Ida’s cover and I assure you that Ida Sand’s cover is far better than the original song. Look at that instrument placements. 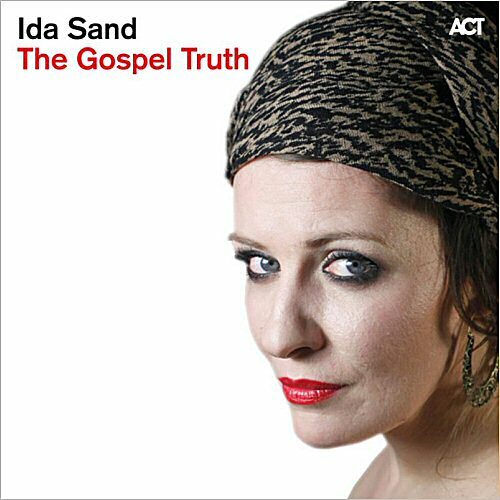 Check out the wonderful vocal of Ida Sand. Take attention to Magnus Lindgren’s wonderful saxophone. What about the wonderful ACT Jubilee Singers’ Gospel Explosion just before the end: I think you will stand up and start clapping your hands while singing the chorus. This is a really should-listen of the album. I especially liked the records of drums and bass in this album. The placement of instruments and vocal in the stage and the balance are perfect. The sound is organic and natural. This is absolutely a very good research paper on Ida Sand.. Congrats darling!